Cats dislike the smell of citrus fruit. Cats are territorial and curious, and both traits often lead them straight to your garden. Whether it's your cat or the neighbor's digging or urinating in your flowerbed or on your lawn furniture, you can repel him easily and safely with citrus. Collect citrus peels in a container. 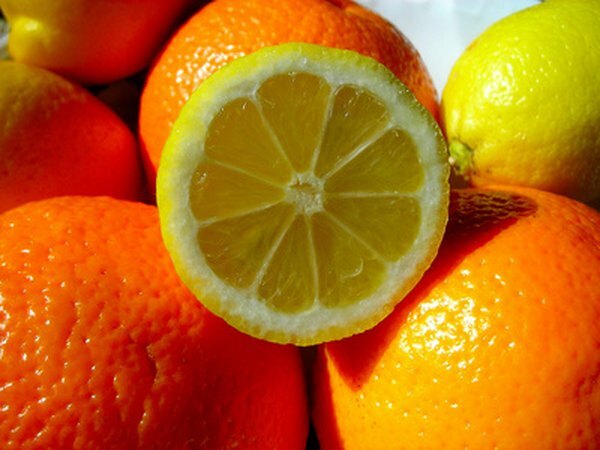 If you do not eat much citrus, ask friends and family to help you. Shred the peels into 1-inch pieces and place them in flowerbeds, in potted plants, on shelf tops or anywhere else you want to protect from cats. Keep in mind that citrus peels can attract bugs if used indoors. Place citrus peels into a blender or chop them into small pieces to sprinkle over large areas. This works well for gardens or around ponds. Add new peels about once each week to ensure the scent remains strong enough to repel cats. There is no need to remove old peels from outside areas, as they will decompose naturally over time. Remove peels placed inside and add them to your compost. Create a solution of lemon or orange juice diluted with equal parts water in a spray bottle. Spray surfaces such as window ledges and yard swings to repel cats. 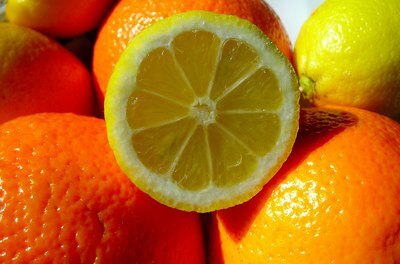 Citrus juice may bleach or fade fabrics or other surfaces, so use cautiously. Does Cayenne Pepper Keep Cats Out of the Garden?